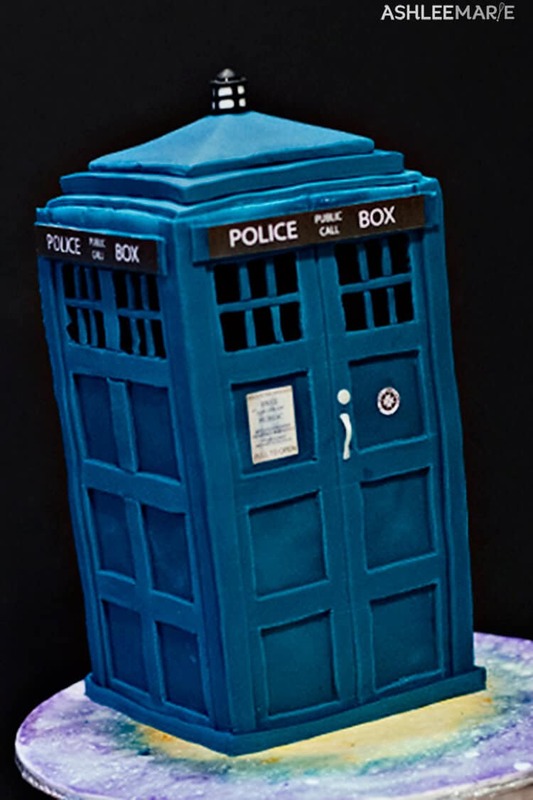 My husband’s family loves Doctor Who so when my niece turned 14 last month she asked for a Tardis cake. 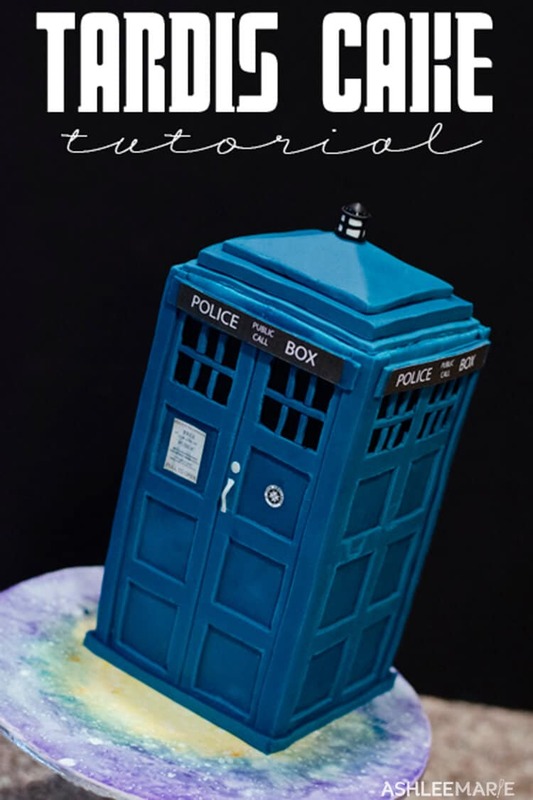 As I was working on my cake I came across this already amazing tutorial from Artisan Cake Company (if I still lived in Portland I’d go work with her, she does AMAZING work) and since our cakes were so similar I’m only sharing what I did differently rather than the full tutorial here. First she used modeling chocolate. I personally use Satin Ice fondant, but I’m thinking about trying the modeling chocolate next time. 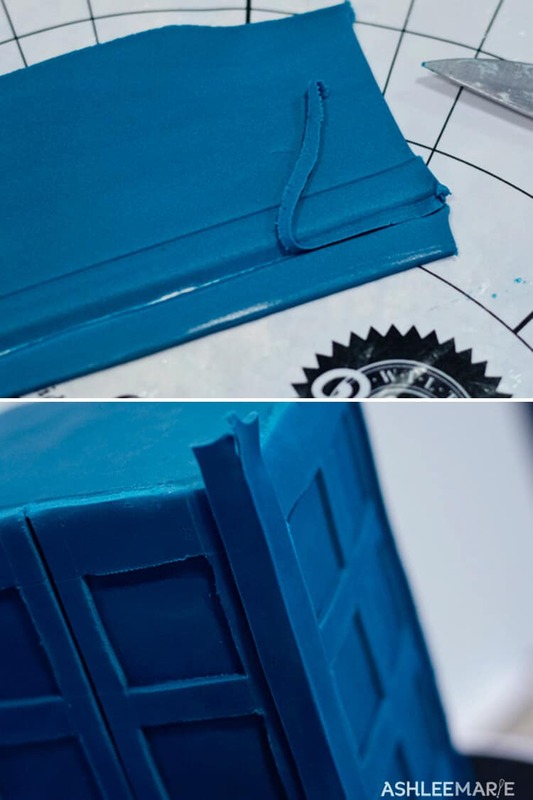 I was going to hand paint all the detailed writing, but started feeling sick right at the end (that’s when I did a google search of tardis cakes and found her tutorial, right as I was finishing) so I ended used her printables on edible paper with edible ink (don’t use in your normal printer, just one set aside for food). So modeling chocolate must be more forgiving because she made pretty deep cuts when measuring out the walls/door, while I can’t do that with fondant, so I just made light impressions and used my cutco knife to cut out the boxes. so that the corners would join really sharp and nicely together without one side being pretty and one side being ugly!!! Does that make sense? It’s the DIY builder in me, I like nicely done corners! And I didn’t do the light, lame, I know, I actually was mostly done with my cake when I came across her tutorial and I didn’t even think of it! I wish I had found it the week before, I totally would have gone out and bought one, brilliant! 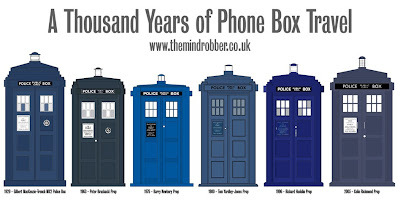 There have been like 8 different tardis designs over the years, so as I was looking at each one I opted to stick with blue windows and just one handle and lock (painted silver, I know it’s hard to tell)… but you can’t really go wrong, so many options. 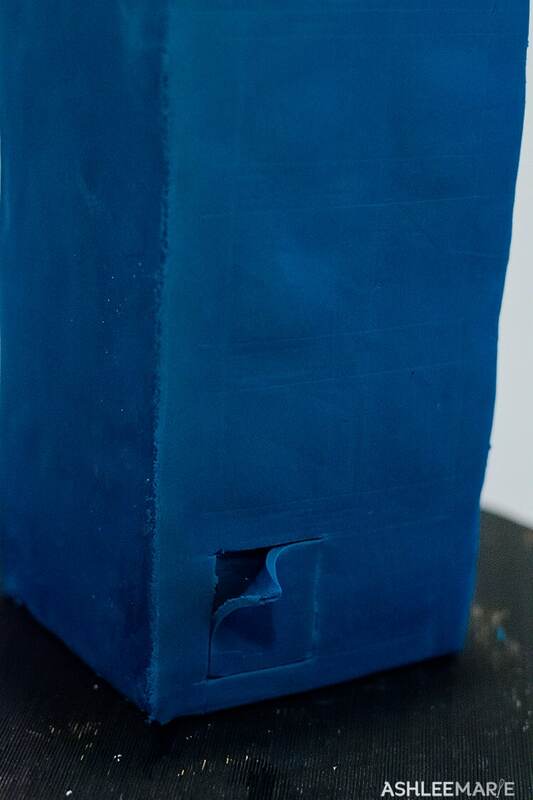 And you can see that my cake is a bit taller, I bake in 4 inch tall pans, so I only had to make one 8 inch cake, 2+ inches tall, so when I cut it into fourths I only needed 2 squares for the bottom half and 2 squares for the top half and I ended with a really tall tardis. I love it! And last but not least… my board is different! I love the way hers turned out, I wish I had added some black to mine. I actually made mine before I saw her’s or I totally would have gone darker! Anyway check out Artisan Cake Company for more amazing tutorials! Seriously she puts me to shame with her carving skills! yes, I know 😉 thanks sweetie!!! I’ve never watched Dr. Who, so I can’t relate there. What I can tell you is this cake is beyond amazing! Your talent just blows my socks off! Love it – great job! my inlaws introduced me to dr who. but I love all things sci fi so it was easy to enjoy! and thank you so much! That… is… amazing! I’m completely impressed. What a fun cake. thank you so much! It was so much fun to make! awww thank! We should get together and create a sci fi party sometime! 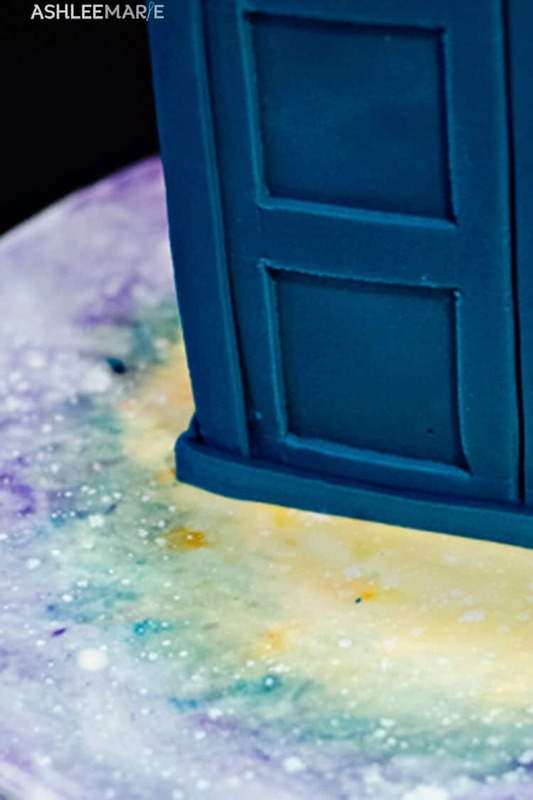 Cool TARDIS cake lol!!!! As the doctor says,bowties are cool!!!!!!!!!!!!!!!!!!!!!!!!!!!!!!!!!!!!!!!!!!!!!!! thank you so MUCH! we are huge Dr Who fans over here! 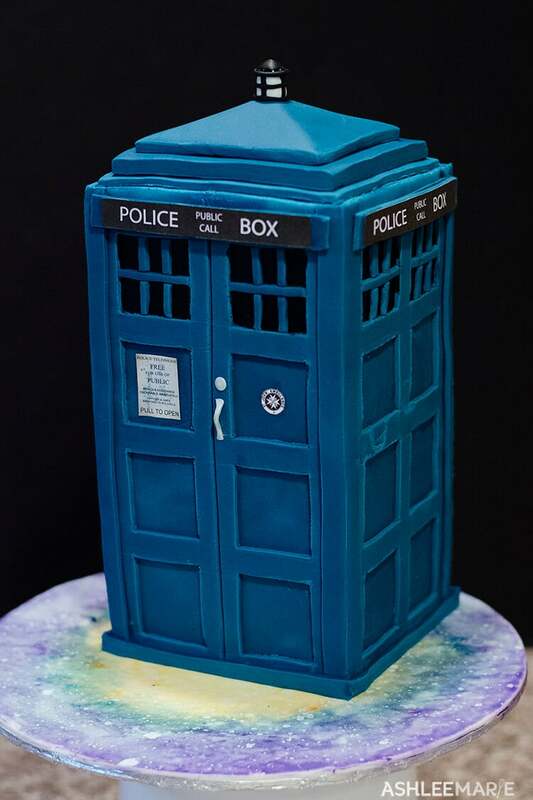 I have to make one for my husbands birthday for the 14th October how did you do the signage as in Police box and the sign on the side of the box I have looked everywhere for help but cannot find how to do this. awesome! I bet it turned out amazing!